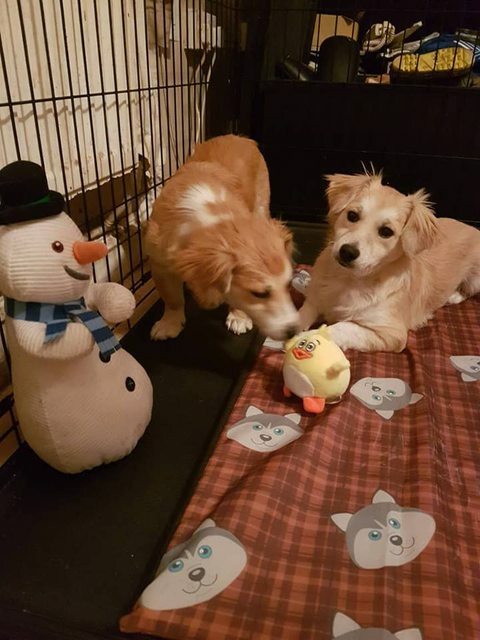 Eddy is a gorgeous approx 5 month old, male cross breed puppy who is now ready to find his forever home. 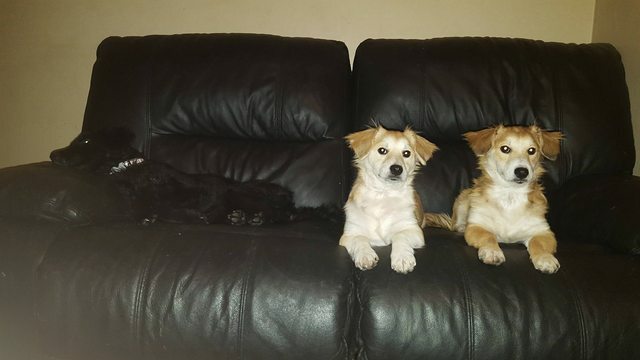 Eddy is a gorgeous boy (he is the lighter coloured puppy in the pictures). He is expected to be small – medium sized once older. Eddy is currently in foster in Worcester. He originally traveled to us from Romania after he was rescued from the streets along with his brother when they were very young puppies. Eddy is good with other dogs, fine with cats and good with children too! He is almost fully house trained and only has the odd accident now, but he does go on puppy pads. He is currently learning the basic commands and is doing well with walking on the lead. 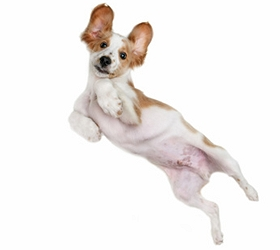 Eddy is a typical bouncy happy puppy. 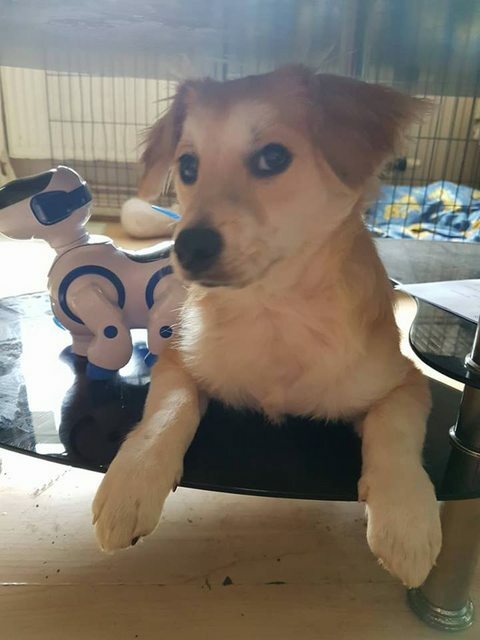 He was a little shy when he first arrived in foster but settled down really quickly – he loves to play with toys and have lots of fuss. Eddy is fully vaccinated, microchipped, flee’d and wormed up to date and has his pet passport. 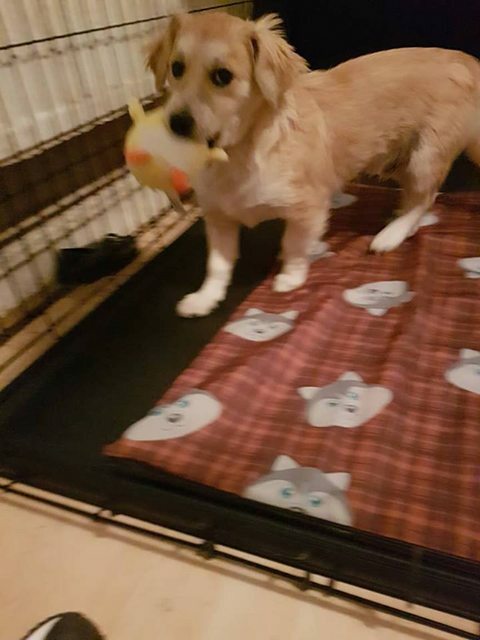 He is currently too young for us to neuter before he leaves for his forever home so will leave us on a neutering contract.